He began by producing linocut posters for ceramic exhibitions and bullfighting events in Vallauris with the talented local printer Within a very short time Picasso was finding new ways of producing color linocuts which dispensed with the orthodox method of cutting a separate block of linoleum for each color. Instead Picasso, impatient to see the results, devised a method of progressively cutting and printing from a single block that required him to foresee the final result, as once he had gouged away the linoleum surface he could not go back. 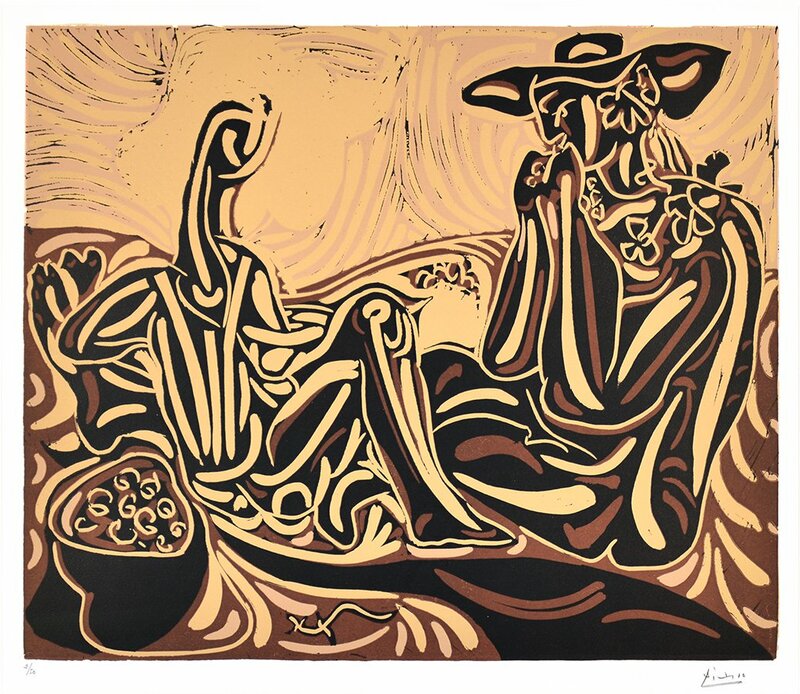 These sets of linocuts highlight Picasso’s astonishing technical innovation and creativity.